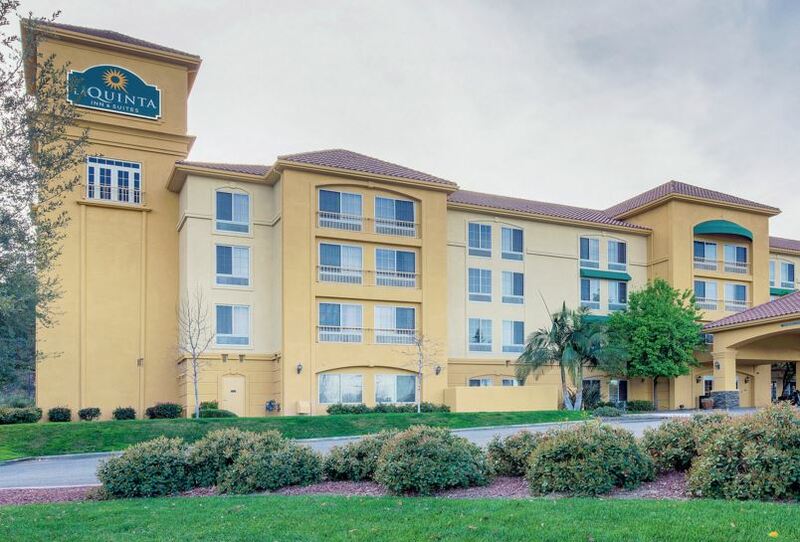 La Quinta Inn & Suites Santa Clarita-Valencia is nestled in the Valencia Area where it offers much-needed solace for visitors looking for tranquility. Away from the hustle and bustle of Los Angeles and Valencia, the hotel, a recipient of the TripAdvisor Certificate of Excellence Award, is tucked away in the Stevenson Ranch. The ranch is a few minutes’ drive from downtown LA on the Old Road. The exact address is 25201 The Old Rd, Stevenson Ranch, California 91381, USA. The expansive ranch on which the hotel sits, by virtue of its location, allows guests at the hotel proximity to superb tourist attractions. It is virtually impossible to visit Stevenson Ranch and pass the chance to tour the Six Flags Magic Mountain. Your reward for this experience will be stunning views of the mountain with the option of exhilarating outdoor activities. Traveling families need not worry that the kids will get bored as the numerous amusement parks close to the hotel are sure to keep the little ones engaged. The Hurricane Harbor is a fabulous attraction that prides itself in been a child-friendly destination. When you make plans to visit, it is best to go early on in the day as there’s a tendency for swelling crowds especially over the weekend and public holidays. What is a vacation without retail therapy? Enjoy shopping at Valencia Marketplace. Or head on to the Stevenson Ranch Shopping Center to enjoy the laid-back aura. Art-lovers will enjoy touring the California Institute of Arts, while nature lovers will go after adventures at the LA Zoo. Easy access to the Walt Disney Concert Hall and the Universal Studios only increases your entertainment options. With the thrill of a fun-filled holiday, La Quinta Inn & Suites Santa Clarita-Valencia has still made it possible for business travellers to enjoy peace of mind with the practical facilities on-site. Free high-speed internet and Wi-Fi means that your business does not have to stop when you steal away for a memorable vacation at La Quinta Santa Clarita. Stay in shape at the Fitness Centre, get rejuvenated at the Spa, or catch up with your reading on the pillowtop beds – the mode of relaxation is your choice. Guest Laundry facilities have been provided to cater for long-term visitors. Other features include free parking, dailies and bright side breakfast. The latter constitutes cereal, bread, waffles, fresh fruit and bottomless juice and coffee. That is not all as the diversity of room options makes it easy to spoil yourself. The options are inclusive of the accessible executive suite, the executive king room, King suite, Accessible king suite and two Queen suite. Children under 18 get free accommodation with a parent. All the perks of staying in this quaint hotel are evident if the room features are anything to go by. La Quinta Inn & Suites Santa Clarita-Valencia is a contemporary hotel worth stopping at the next time you spend time in downtown LA. Serenity, convenience and great memories – this is La Quinta’s promise.